Stand With Reality, a nonprofit, nonpartisan coalition of concerned individuals, is launching a campaign today to defend N.S.A. contractor Ms. 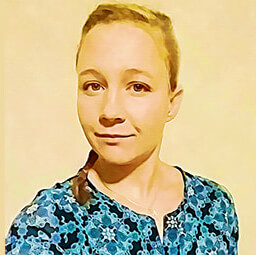 Reality Leigh Winner against an overzealous prosecution by the U.S. Department of Justice. Winner has been charged under the Espionage Act, a 100-year-old statute originally designed for spies and saboteurs, for allegedly giving a document vital to the public’s understanding of potential Russian interference in U.S. election systems to a news organization. Stand With Reality believes the charge against Winner is grossly disproportionate to her alleged offense, and is designed to create a chilling effect on investigative journalism by dissuading sources from sharing information that is critical to the public interest. The group is dedicated to raising public awareness of Winner’s case, as well as the U.S. government’s persistent abuse of the Espionage Act to silence its critics and stifle journalism. “The document Winner is alleged to have given The Intercept is vital for understanding how U.S. election systems are seriously vulnerable to hacking. It is absurd that the government is charging her under the draconian Espionage Act rather than helping states fix our country’s election security,” said Jeff Paterson, Courage to Resist project director and co-founder of Stand With Reality. The organization aims to fully fund Winner’s legal defense team headed by attorney Titus Nichols, of the Augusta, Georgia law firm of Bell & Brigham. Stand with Reality launched a crowdfunding campaign today to cover both legal fees and public awareness efforts. “It is refreshing to know that so many people that Ms. Winner has never known have come together to offer their support and prayers for her,” notes Nichols. “Your pledge of additional support, for fees related to her case, is commendable,” he adds. “The new Stand with Reality group means the world to me. Not only are they going to be raising money for my daughter’s legal defense, they’ll also be raising awareness. Reality won’t be forgotten, and she’ll have a whole organization behind her,” said Winner’s mother, Billie Winner-Davis, of Kingsville, Texas. The Winner Family will be closing their GoFundMe effort and directing supporters to the new Reality Winner Defense Fund hosted by Courage to Resist in collaboration with Stand with Reality. Meanwhile, the UK-based Courage Foundation is undertaking fundraising and support efforts on behalf of Winner throughout Europe. First Look Media’s Press Freedom Defense Fund provided a grant of $50,000 which will act as a matching fund for the first $50,000 raised for this campaign between now and August 30th. First Look is the publisher of The Intercept, which published its story based on a document allegedly provided by Winner after receiving it anonymously. The Fund is committed to supporting legal fights where key principles of press freedom are at stake, including the defense of journalistic sources like Winner facing this Espionage Act charge. Winner, 25, is an Air Force veteran and recipient of the Air Force Commendation Medal for those who have “distinguished themselves by meritorious achievement and service.” She is universally described by friends and family as a “patriot”. She is currently being denied bail on the basis that she is a flight risk, despite assurances from her family, and their offer of their 20-acre Southern Texas ranch as collateral. Jeff Paterson, a Marine veteran and web developer, has spent the last 11 years as the project director of Courage to Resist, which provides legal and advocacy assistance to military war resisters. Trevor Timm, a lawyer and free speech advocate, is the co-founder and executive director of the Freedom of the Press Foundation, which helps defend the rights of journalists and whistleblowers worldwide. Rainey Reitman, a writer and privacy advocate, leads the advocacy team for the Electronic Frontier Foundation, a civil liberties organization, and works as a nonprofit consultant.